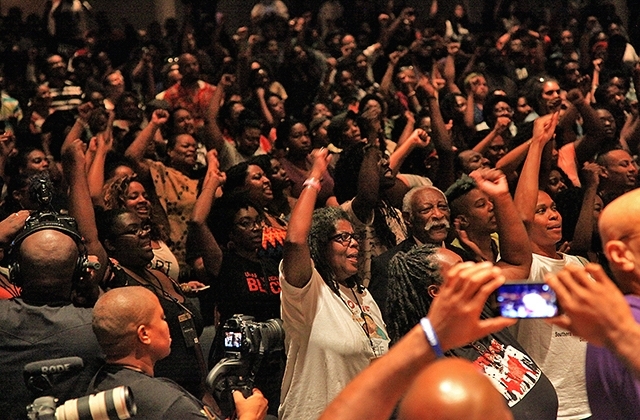 The Movement for Black Lives Convening in Cleveland, Ohio July 24-26 took place at a crucial junction in the struggle against police violence in communities of color nationally, and in a period of crisis for U. S. capitalism whose fate is tied to institutional racism. Following the end of the radical reconstruction period (1868-1876), the enactment of Jim Crow laws in the South established southern racial apartheid economically, politically, socially and culturally for black workers. 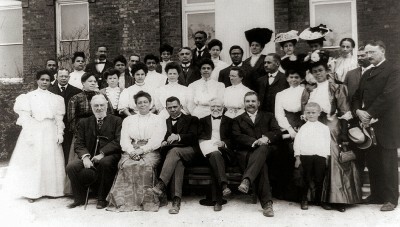 Booker T. Washington in Atlanta, Georgia, a major benefactor of wealthy white philanthropic money from figures like Andrew Carnegie, proclaimed blacks should cast their lot in education and industrial work, rather than fighting for equal voting rights. Washington’s comments reflected an acceptance by a section of the small black middle class of the dominance of big business and racism in the South. Under Southern apartheid the lives and conditions of black workers and families was in a state of emergency as lynching, political disenfranchisement and economic depravity was the daily reality. The Niagara Movement gathering was meant to synthesize a response to this crisis. There have always been two wings: those like Washington, seeking to find a way to survive under capitalism through accommodation with the system and the radicals, including Du Bois, the black activists around the early Communist Party, Malcolm X, King and the Panthers, who favor mass struggle to end race discrimination once and for all. Without question, the gathering of several hundred mainly black and brown youth in Cleveland with the underpinning of an anti-capitalist orientation and black pride was inspiring and powerful to witness. The prominence of the LGBTQI community and youth at the gathering signaled the emergence of a new force that has taken center stage in the overall fight back against police violence. 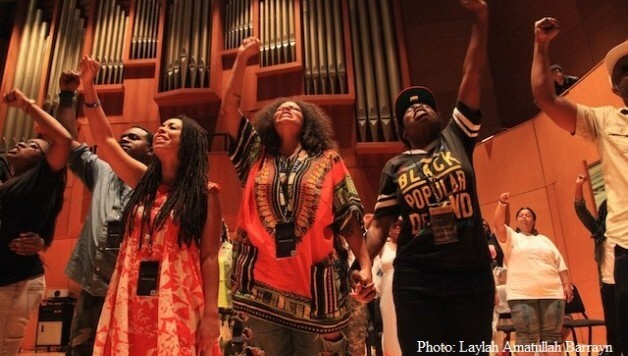 The convening showcased the rise of a new and youthful black leadership with no major black public figures gracing the stage like Al Sharpton, Jesse Jackson or even Dr. Cornel West, a friend and prominent ally in the Black Lives Matter (BLM) movement to address the participants. One of the powerful moments of the conference was the speeches by the determined and inspirational families of the victims of police violence , beginning with family members of Emmett Till — August 28th marks the 60th anniversary of his death, which helped spark the Civil Rights Movement in the 1950s.There were over 100 workshops that covered a wide range of topics from Queer Theory, History of the Black Panther Party, grassroots organizing around police violence, community control over the police, race and economic inequality, and the 2016 presidential elections. On the last day of the conference the power of this movement was on full display. BLM activists intervened to stop the physical abuse and arrest of a fourteen-year-old kid by the Cleveland police for allegedly having an open can and appearing drunk. For an hour and a half there was a standoff between BLM activists and law enforcement. At the end the police released the child to his mom. It was downright powerful to witness and to participate in. The dominant role of the N.G.O organizations at the conference was very evident, as was the presence of the Democratic and Working Families Party, which is aiming to co-opt and channel the movement into the graveyard of corporate politics. For the movement to maintain its vibrancy, it will have to cut the purse strings and links with George Soros and the Ford Foundation grants that keep afloat a number of groups that are organizing against police violence. The key role of these capitalist entities is to stifle and control the movement’s message and to focus it into safe channels that don’t ideologically and organizationally challenge the system of capitalism and institutional racism. The lack of an overall national strategy, platform and demands over the weekend was a glaring missed opportunity to arm the attendees and activists with an action plan going back to their respective cities and states. The convening punctuated the need for reflection, unity and collective strength in the face of state and vigilante terror inflicted on the black community. But, to move forward effectively we need unity of ideas and a program to build a cohesive national movement. Yes, this is the first gathering of this kind in years since the Black Radical Congress convened in Chicago, Illinois in 1998. But, to build a more powerful movement, the second gathering of the Movement of Black Lives will have to discuss and debate a set of demands to express what we need and not just simply what we are against. Discussing these demands and projecting a vision of the world we want would expand the movement to the fullest involvement of ordinary black workers and youth. The recent cases of Sandra Bland and Samuel DuBose continue to indicate the urgency of building a mighty working-class mass movement, with black workers and youth at the center, to dismantle the edifice of racial and police terror.